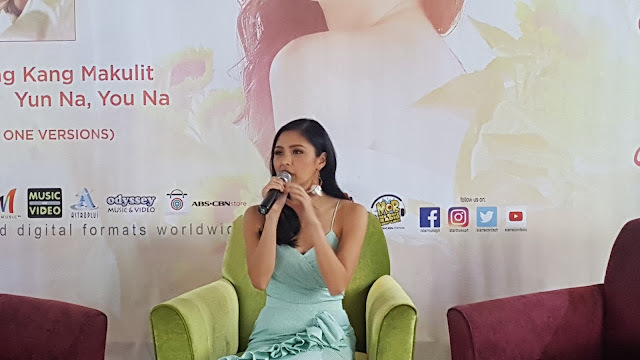 Event: Kim Chiu marks 11 years in showbiz with 3rd album "Touch of Your Love"
Charismatic chanteuse Kim Chiu is celebrating her 11 years in showbiz this year gathering her fans in "Touch of Your Love" album launch this Sept28 at SM North EDSA Skydome. Our Chinita Princess who's been humble all these years is still shy performing in front of an audience. Tracks include "Okay Na Ako", "Wag Kang Makulit", "Ipadarama", "Katok", "Yun na, You na" in her Touch of Your Love album produced by StarMusicPH a year after her multi-platinum 2nd album which is still our LSS"Mr.Right". I am thankful to you Kim for always being kind and inspiring to us all! For more info visit www.facebook.com/starmusicph.